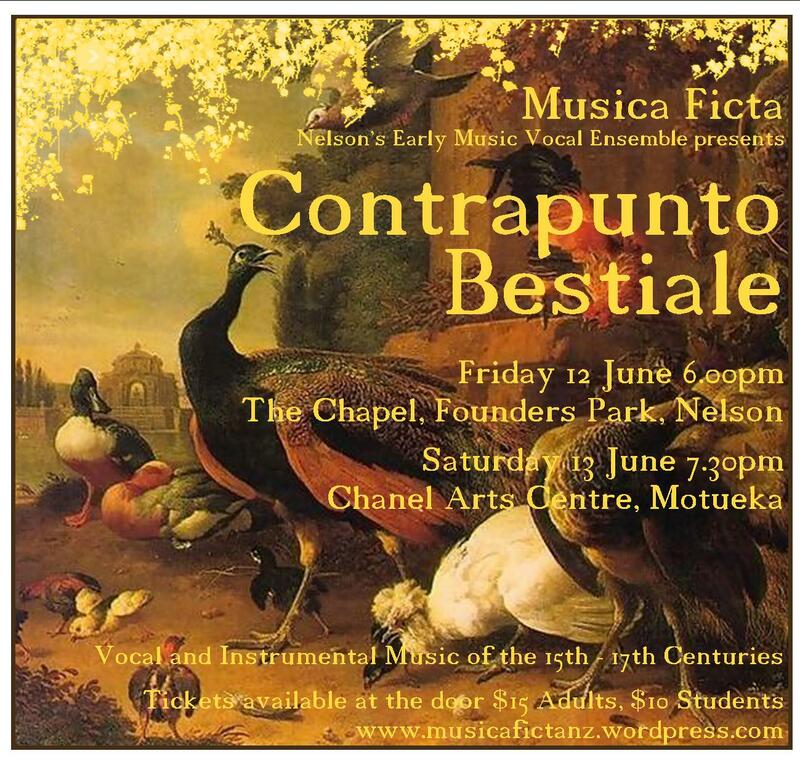 Musica Ficta, Nelson’s vocal ensemble specialising in Early Music, performing light works with an animal connection. 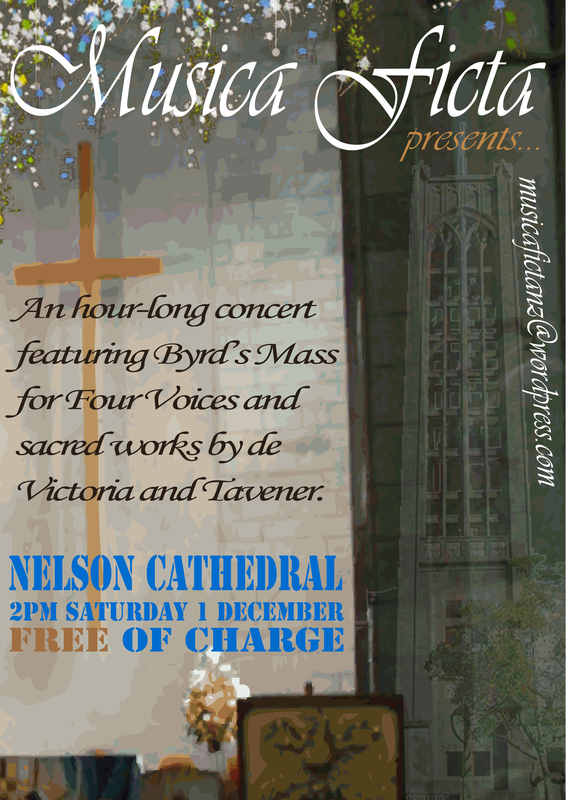 Musica Ficta will make its debut with a short, afternoon concert featuring sacred music from de Victoria, Tavener and the Byrd Mass for Four Voices. This concert is FREE of charge. 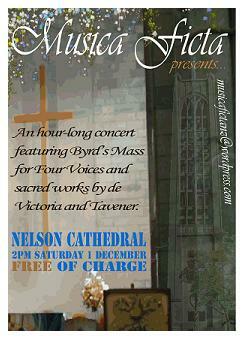 We are very grateful to Nelson Cathedral for allowing us to perform in this lovely space. 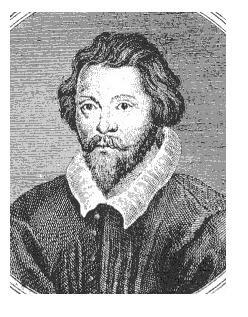 You may wish to make a donation to the Cathedral after the concert. Feel free to come and go as you please. Encourage your friends to stop in for a hour, or even just a few moments, of peaceful reflection. The concert will set a contemplative, meditative mood. Close your eyes and rest your mind. Music students might like to view the scores. CLICK HERE to download all the scores and read along! After the concert, please return to this page and leave us a comment about your impression of the concert. Enjoyed the concert – can I have a CD ofit to listen to please.